Class Reunion Funds are a special component of the Pomona College Annual Fund that seeks increased support from those classes celebrating a reunion. Gifts to the Annual Fund provide crucial support for three areas of a Pomona education with the most significant impact on students' lives: scholarships, academic programs and student life. 60% of every gift to the Annual Fund is used to make sure a Pomona education is affordable for all qualified students. 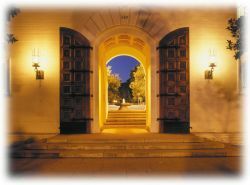 This portion of each gift supports the College's need-blind admissions policy (which guarantees that all Pomona students are admitted based on merit, without consideration for the financial circumstances of their families) and need-based financial aid packages (Pomona meets 100% of demonstrated financial need through a combination of scholarships and student employment; loans are not part of the financial aid package). 30% of each gift ensures the excellence of a Pomona education through support of all academic departments and programs. 10% of each gift supports student life, extracurricular programs and student organizations. Pomona College depends on the generosity, enthusiasm, and class camaraderie and spirit of its reunion classes to anchor the Annual Fund. Everyone is encouraged to participate in her or his reunion class gift. Your participation matters most; every gift, no matter the size, is meaningful to the College. Thank you for your gift to the Class of 1975 Reunion Fund! Give your Class Gift.